Looming over the team, of course, is the absence of LeBron James, who hasn’t played since tweaking his groin in a Christmas Day obliteration of the Warriors. The Lakers are just 1-5 in that span—their lone win came on a furious comeback over the Kings, who beat them on a sensational buzzer-beater a few days prior. 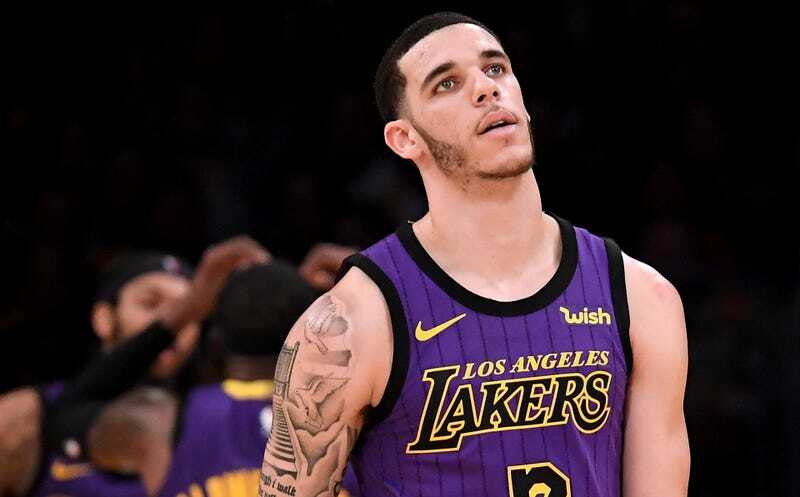 L.A. will go as far as their best player can take them, though Walton is right that they will need both of their former second-overall picks to carry a heavy load, rather than, say, miss a bunch of shots or just disappear altogether. The energetic sharpshooting frenzy of Kyle Kuzma contrasts sharply with the mopey play Ingram and Ball have tended to lapse into this season. Ingram has shown himself to be a capable scorer over his three years, but he has yet to evolve into anything other than a halfcourt slasher who can’t space the floor. As for Ball, his playmaking chops and defensive abilities paper over a growing concern that he lacks the dynamism or shooting acumen to distinguish himself as one of the best point guards in the game, or at least someone worthy of being drafted with the second-overall pick (especially as De’Aaron Fox has exploded this season). Playing with LeBron James can be hard, especially for young players who have suddenly been thrust into supporting roles on a team with legitimate ambitions after seasons of failure. Ball and Ingram both sort of like to occupy the same spaces James does, and since neither can spread the floor around him, they’ve had to concede to the King rather than smoothly slot in alongside him. However, this little stretch without James was an opportunity to build confidence, and it hasn’t gone well. The team will win more when James gets back, since he always plays better after his semi-regular two-week rejuvenation break, but his return won’t solve all their underlying structural problems.